These fun cards were designed by Kirsty Whyte for her homeware and furniture design brand Purewhyte. 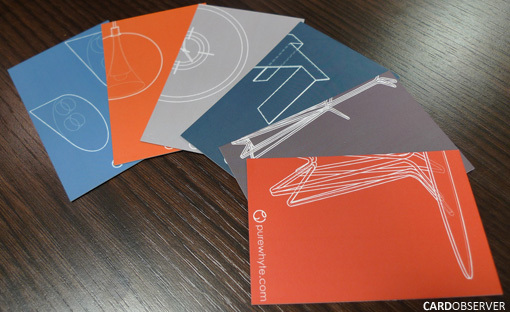 Quick cheap and easy to produce on moo.com, each card had a line drawing of a different product within the Purewhyte collection. So people can take a card of a particular product they are interested in or colour they like the most!